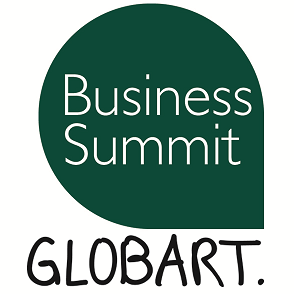 We are proud to present a new format at GLOBART: The GLOBART BUSINESS SUMMIT. In the heart of Vienna – at the Franciscan monastery – GLOBART invited a variety of speakers and guests to focus on thought processes, contemplative exchange and constructive innovation. The focus of this event was on the possibilities of prospective management competences and leadership issues of the next generation; our best educated generation so far – the Generation Y. A topic that has affects on every successful business and concerns any future-oriented manager. How can we recognize their talents and live up to their expectations? How can we erase their anxieties and fully integrate them into our businesses? On April 24, 2015 participants of the workshop day had the opportunity to receive new impulses by top experts and learn from Best Practice examples, raise questions and develop their ideas within discussions. Based on empirical studies of the Generation Y, impulses and selected theories on education, work and leadership culture were widely discussed. Ultimately, the conclusion was and is, that the employer’s role will have to change: Employees are starting to redefine their tasks independently – they no longer strive to be mere employees, but are paving the way to a new renaissance of loyalty in organisations.